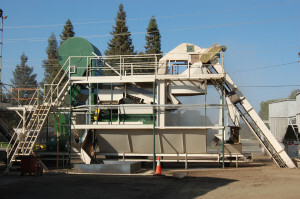 The Moody walnut Dehydrator is located 276 S. Mariposa which is centrally located to meet the needs of our growers. We are located a quarter of a mile south of the corner of Caldwell ave and Mariposa. 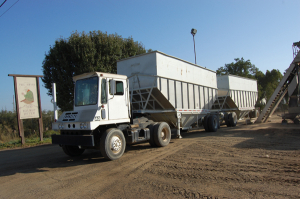 Our facility is surrounded by 14 acres of open ground which enables our drivers plenty of room to disconnect and connect semi trailers of any size. During the peak season we have employees who live at our site and begin their work day at 5am. Security is our major focus during walnut season. My son Chet Sciacca and Phil Moody’s son Brian Moody, live on site. No loads can be picked up without verification of drivers license, and a live signature on a manifest ticket to insure your product is delivered safely to its final destination. From semi trailers to basket trailers, no grower is too large or too small for us to handle. We engage the use of two yard dogs which engage your trailers without the need of the driver leaving the cab of the tractor. This is another way that the Moody Dehydrator facility efficiently loads and unloads your walnuts when they arrive at our facility. We also offer to pick up your crop from your orchard and deliver it to our facility and deliver an empty semi trailor to your orchard for a nominal cost. Our permanent drying facility is completely covered to ensure your walnuts are protected from the unpredictable weather that sometimes affect the harvest season. We have covered bin space for approximately 150 tons of walnuts and another 150 tons of storage, and drying facilities in our peerless trailer section of our facility. 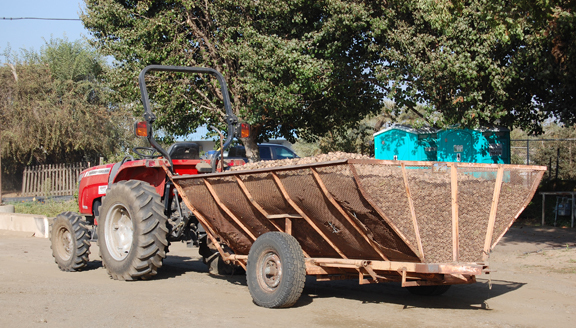 Our facility has a built in hoist, and a separate loading pit which is used to dump our peerless trailers and load our semi trailers efficiently in the shortest amount of time, while we are simultaneously hulling your walnuts. The moody dehydrator was founded and developed by Wayne Moody (Phil’s father) in 1968 with a small 25 ton walnut dehydrator hulling about 2-3 ton per hour. In 1978 Phil Moody along with his dedicated wife Louise continued to operate the business. 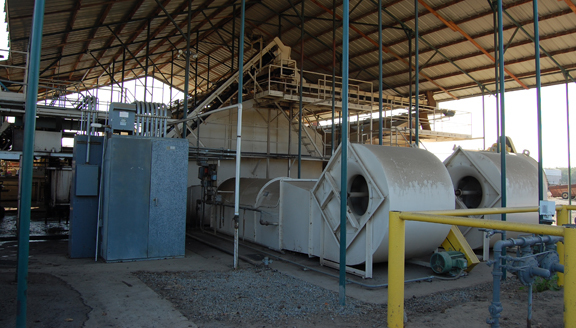 Today it is one of Tulare County’s largest dehydrator, hitting approximately 25-30 tons per hour. 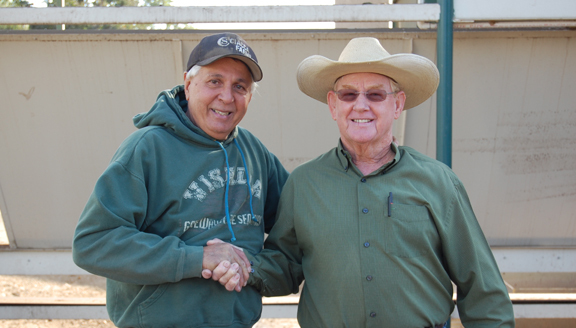 In 2014, the Moody family sold their facility to the Sciacca family. Sam Sciacca worked for his mother and father farming and harvesting walnuts in their dehydrator since 1951. Sam & Marlene Sciacca along with their son Chet, intend to provide the walnut growers the same service as the Moody family has done for over 40 years. From semi trailers to basket trailers, no grower is too large or too small for us to handle. The Moody Dehydrator now unloads your basket trailers using a more efficient technique.New at our facility and starting in 2014 we will have an on site field elevator and we will be able to unload your basket trailor into one of our 21 sets of semi trailers which will allow the grower to deliver a full load and leave with an empty.We also offer convenient pick up of your crop in your semi trailor from your orchard to our facility for a nominal cost. This is another way that the Moody Dehydrator facility efficiently loads and unloads your walnuts when they arrive at our facility. All of our mechanical dryers are calibrated to dry at no more than approximately 110 degrees, and are monitored by moisture meters and are dried at approximately an 8% moisture level. The Moody family lived on site, and were able to monitor the efficiency of their dehydrator with modern state of the art electronic moisture meters, allowing the grower maximum returns. The Moody facility has the capability of unloading their product to outgoing semi trailers so the incoming loads could be processed within 24 hours of delivery to their facility. That same attitude and service will be followed by the Sciacca family.